Patricia Ann Hunter Leithead of Lancaster, PA passed away peacefully on March 29th, 2018. Born in 1935, she was the only child of the late Donald James and Mary Elizabeth Moore Hunter of Carlisle, PA. A 1953 graduate of Carlisle High School, Patricia “Pat” graduated in 1957 from The Pennsylvania State University with a BA in Journalism and Fine Arts. Although they shared the same hometown, Pat met the love of her life, Edward C. Leithead at Penn State: their married life together was spent in NYC, Chatham, NJ, Solana Beach, CA, and Lancaster, PA. Prior to her marriage, Pat’s early career was spent as Social Editor of the Lewistown Sentinel followed by Assistant Public Relations Manager at C.H. Masland & Sons in Carlisle. 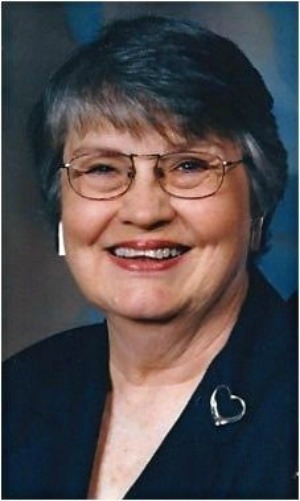 After pausing to raise her three sons Ed, Mike, and Drew, she resumed her career as Editor in Chief of the Chatham Courier Newspaper in the 70s and 80s, after which she became Public Relations Manager and Community Affairs Officer for the Summit Bancorporation, and served on the Suburban Chamber of Commerce. Additionally, she was a long-time teacher of Art and Italic Calligraphy at the Adult School of the Chathams, Madison, and Florham Park. Pat and her husband moved to Willow Valley Communities in Lancaster, PA in 2013 where she continued her passion for the visual arts, calligraphy, and was an active contributor to the Willow Valley Writer’s Group. Pat was an active volunteer throughout her life, serving as co-president of the PTOs for Washington Avenue School, as well as both the Chatham Borough Middle and High Schools. Additionally, she was co-chair of the Chatham Fishawack Festival for many years. In 1982, the Chatham Borough PBA presented Pat with an award recognizing her citizenship and contribution to the community. Pat was active in the Chatham Community Players, and is long remembered as “Beulah the Witch” who told stories at schools on Halloween and at the Library of the Chathams. She is survived by her husband of 58 years, Ed as well as her sons Edward Charles III, his wife Marybeth, and children Edward Charles IV and Anne Burke of Chatham NJ; Michael Hunter Leithead and his partner Patrick Crosgrove of New York City and Martha’s Vineyard; and Andrew Patrick and his wife Katharine and children James Ewan and Vivien Rose of Oakton, VA.
A celebration of her life will take place on Monday, April 23, at 10:00AM at the Chatham United Methodist Church. In lieu of flowers, donations can be made in her honor to the Adult School of the Chathams, Madison and Florham Park or the Chatham Emergency Squad. Ed, Michael, and Drew, I am so sorry to hear about your mom’s death. It was always a pleasure to see her and your dad up at the Vineyard when they visited. You and your dad are in my thoughts.